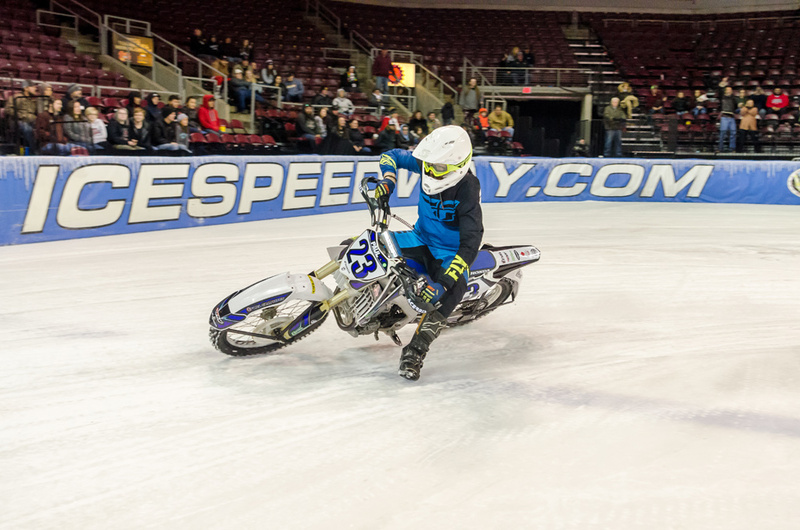 Prescott Valley, AZ (December 1, 2018) — The World Championship Ice Racing series came to Prescott Valley for the first time in 29 years on Saturday, December 1. Jeremy Orr gets low in turn one on his way to a first-place finish. 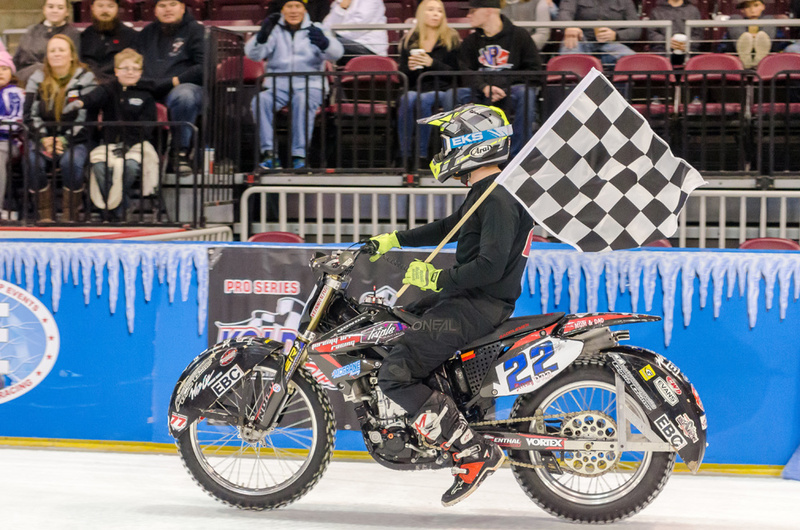 Owned and operated by Ken and Kristi Remer after purchasing the 40-year-old series from the Densfords, the WCIRS races all across the nation on a six race season. 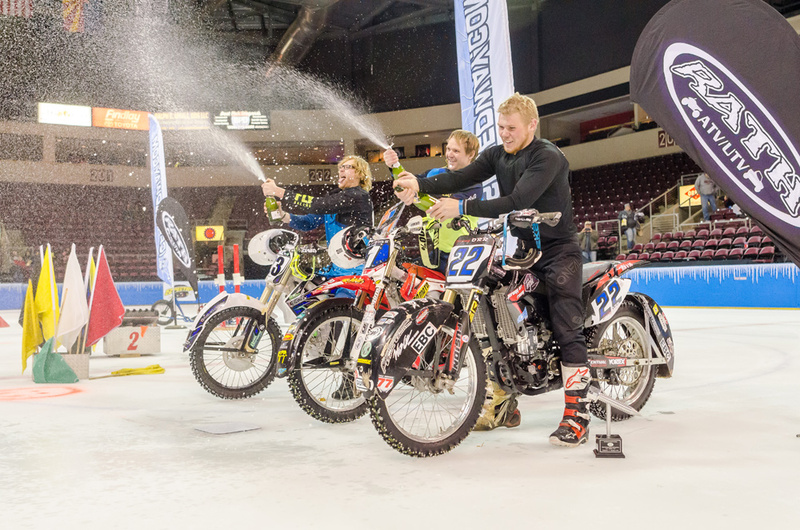 In its first appearance in Arizona in 29 years, the racing brought massive action to a packed house in the Prescott Valley Event Center. 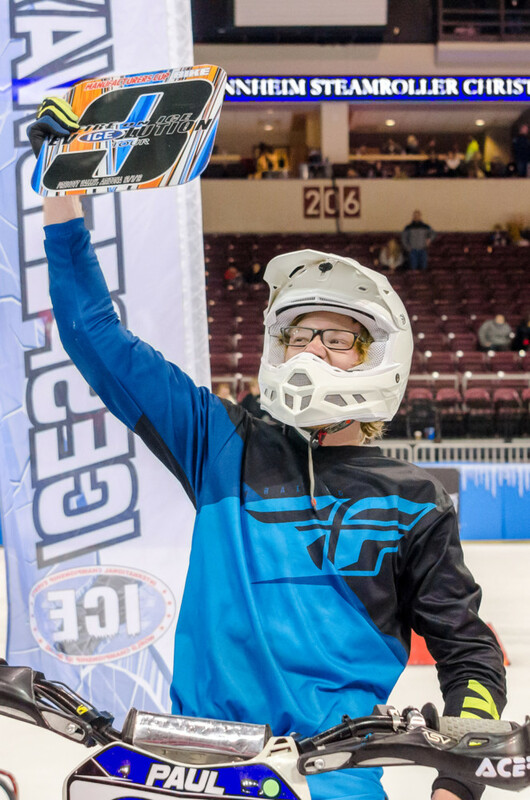 The series is sponsored by Fly Racing, Rath Racing Products, Kold Kutter Traction Products and TS Signs. 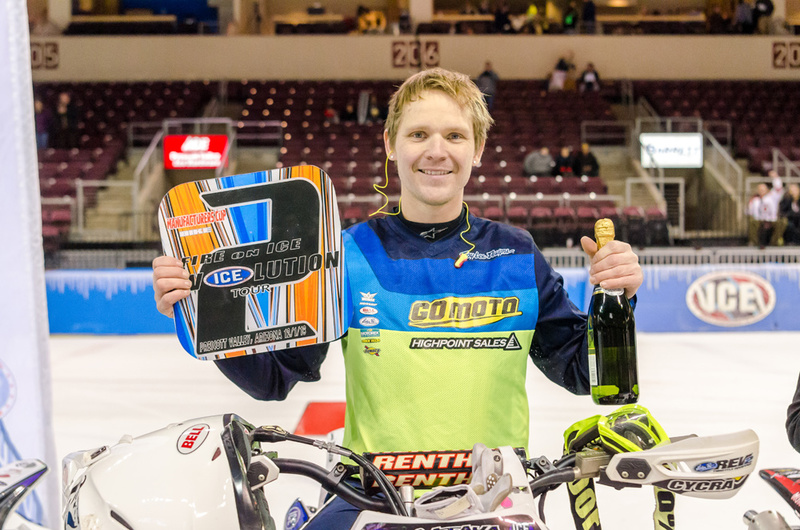 In the Manufacturers World Cup Bikes, the 2018 Rookie Of The Year Jeremy Orr took the win ahead of 2018 WCIRS Champion Jake Mataya and third-place Dustin Paul. They ended the night with a celebratory champagne shower along with their trophy presentation. Jeremy Orr takes his victory lap. Jeremy Orr takes his first-place trophy with a smile. Jake Mataya races toward a second-place finish. Jake Mataya takes his second-place trophy and champagne. Dustin Paul takes turn four with speed before a third-place finish. 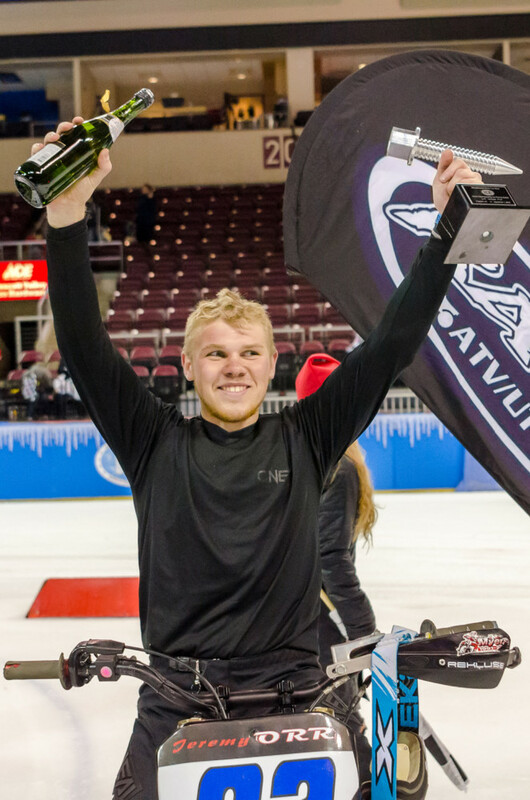 Dustin Paul excitedly takes his third-place trophy. 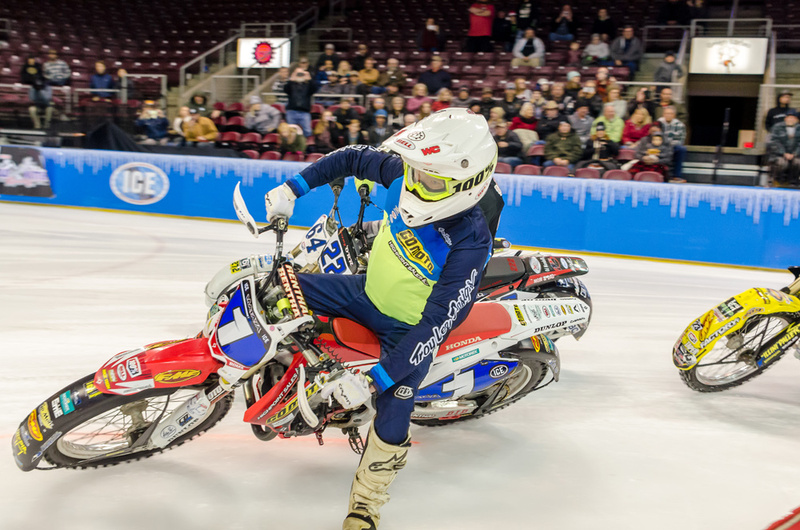 In the Unlimited Outlaw Quads, Tyler Allen took the win ahead of defending 2018 champion Daryl Rath, owner of Rath Racing Products and third-place Ken Enquest. 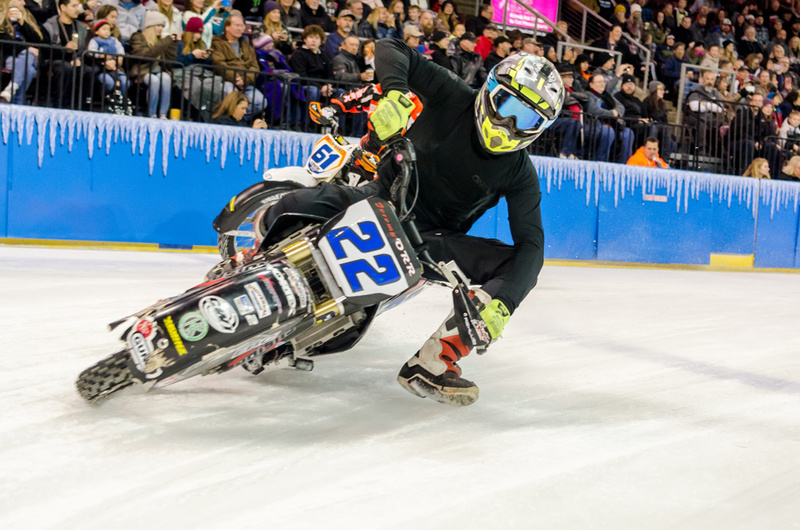 Along with the big guys, there was a huge race of go-karts that had the crowd cheering the entire time, and a great show of talent by first-time ice racer Dakota Hibler of Dirt Halo Racing and young Cassie Fairfield on her KTM 65cc all decked out for ice racing. 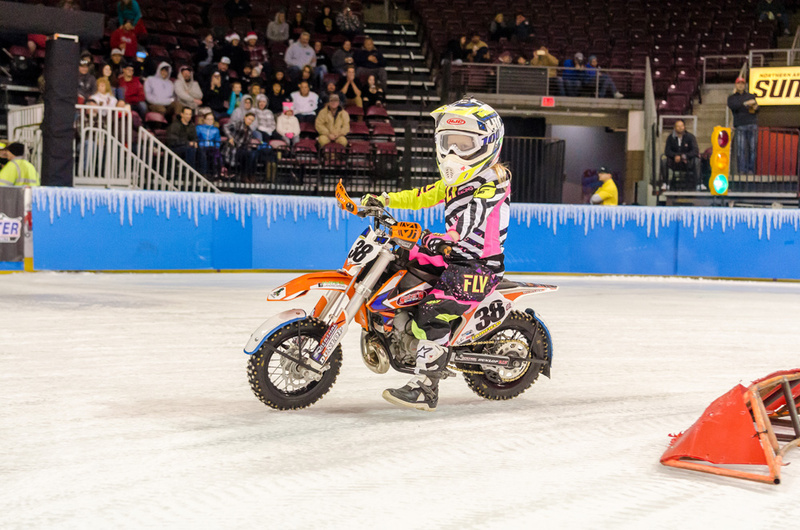 Cassie Fairfield races around the ice on her specialized KTM 65cc. 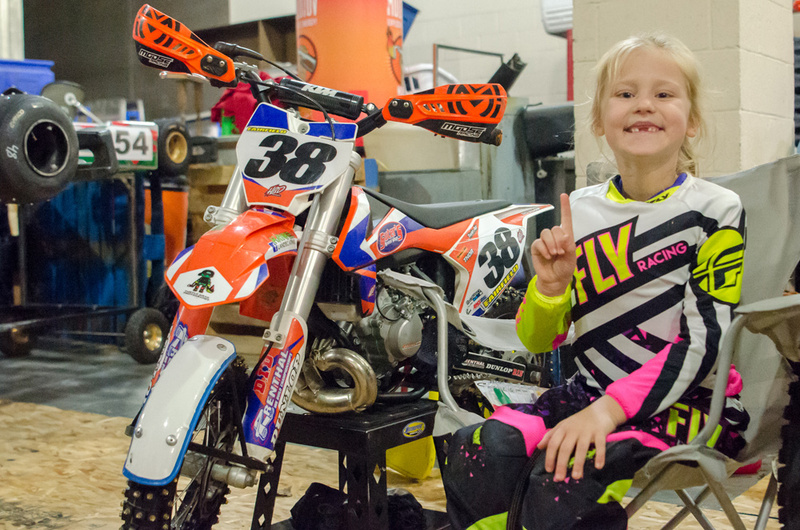 Cassie Fairfield next to her bike during the Pit Party. 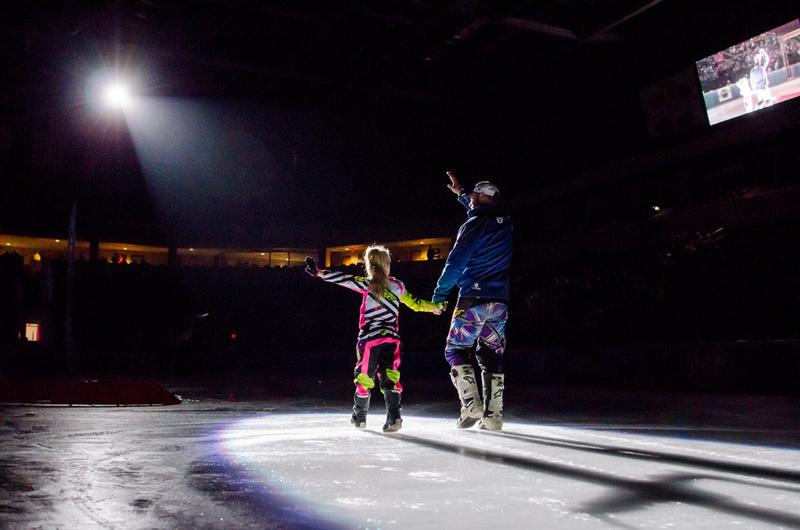 Cassie Fairfield and her dad, Drake, take to the ice during opening ceremonies. The event had a great crowd attendance and was full of action all night. 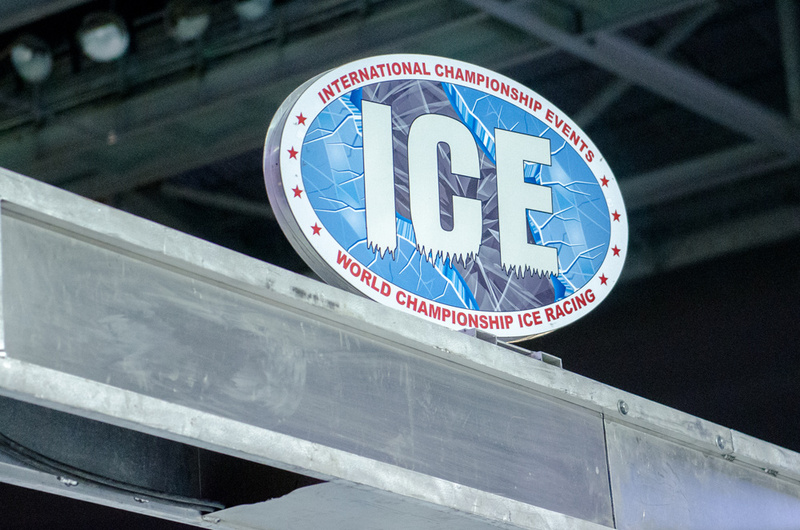 WCIRS goes to Reading, Pennsylvania, next and will continue in the Midwest the rest of the season.